Have you planned how to use all your vacation days for 2019? 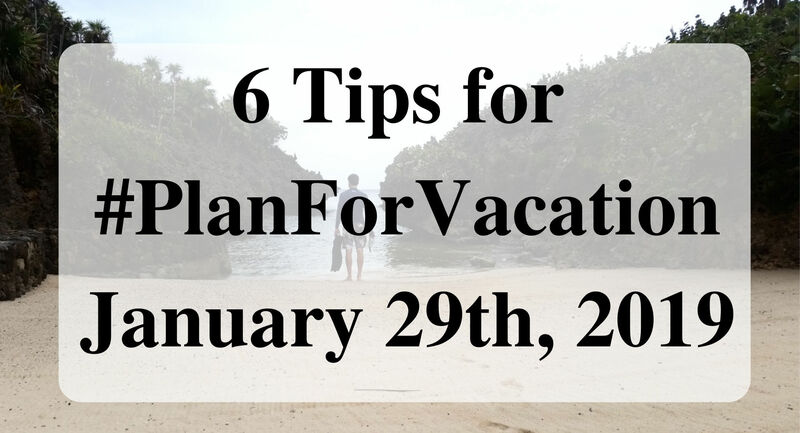 This year January 29th is the day for #PlanForVacation! Let’s start dreaming by using these tips to use up all those amazing vacation days. Do you normally have 2 days off in a row? Maybe you have Saturdays and Sundays off. Maybe you have Tuesday and Friday off from work. Maximize those days in your planning for a longer trip. Many times the transportation to your destination is the most expensive part of the vacation. Why not lower the cost per day by going on a longer trip. Planning vacations around holidays that your work already pays you for and you get off of work for is another great advantage to lengthen your adventure. If you have Independence Day Thursday, July 4th, 2019 off and you have Saturdays and Sundays off, then maximize your time off by starting on Saturday, June 29th and returning Sunday, July 7th. That is a 9-day vacation with using 4 vacation days. 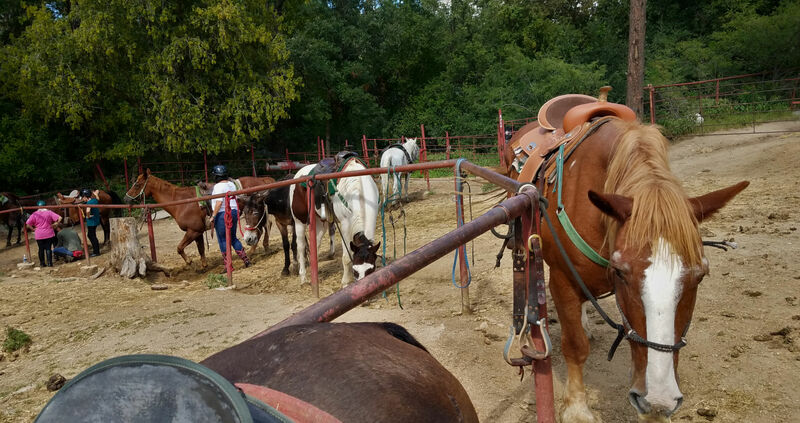 Plan the horseback riding adventure you have always wanted to go on. Do you have other family members or friends that would be vacationing with you? Have them help in the planning family reunions, girlfriend getaways, a hiking trip, etc. 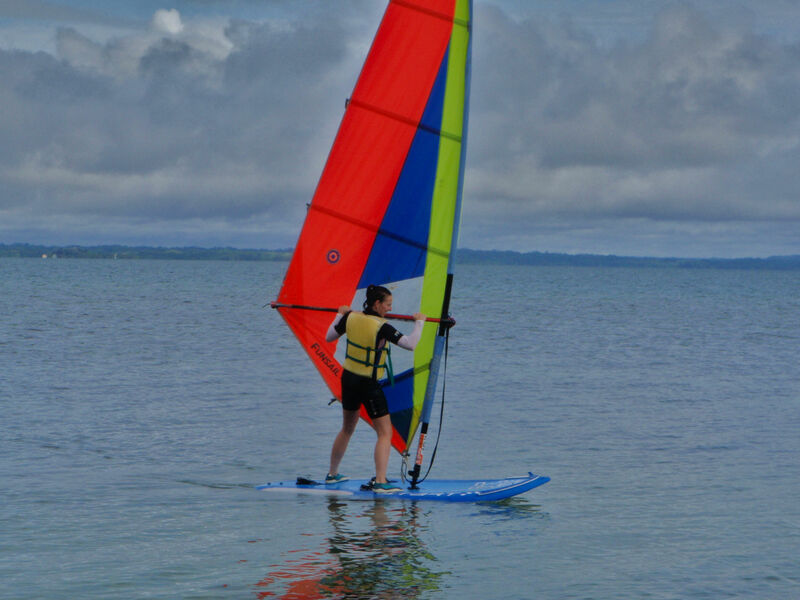 Plan the water sport vacation that has been on your bucket list. Blocking your days off on your calendar and then guarding them is very important. Those days are planned for you to relax and rejuvenate. Don’t let them get canceled. 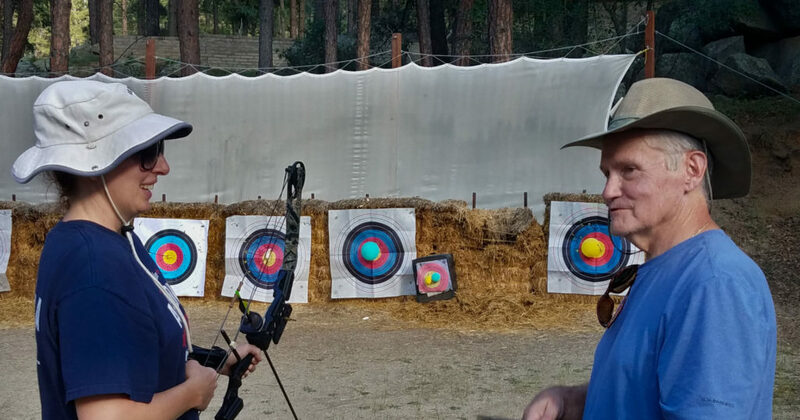 Plan to attend archery camp for adults. Let others hold you accountable. Also, if you have a Boss, it is nice to let them know in advance. *Nationally – Just over half (54%) of households set aside time to plan the use of their vacation time each year. According to 52 percent of planners took all of their vacation time vs. 40 percent of non-planners. *Nationally – 75 percent of planners were more likely to take a full week of vacation time or more at a time. Non-planners take significantly fewer days—zero to three—than planners at once (42% to 18%). The time is now to plan those vacation days. On January 29th, 2019 post on your social media where you are going on vacation this year. Message me below with where are you going this year? Awesome reminders and great tips. Would love to hear ideas of fun things to do and see in Arizona . As always I love the pictures. Thank you. Yes, we are lucky to have so many varieties of activities in AZ. Great ideas! We will be visiting St. Louis and Oregon (for weddings), and then going to New Mexico and Texas to Big Bend National Park, White Sands National Monument, and Carlsbad Caverns. Can’t wait! Awesome! That is fantastic that you have all your trips planned. New Year New Plans, I just got back from a trip and I am ready to plan another. Above statistics very interesting. Family Reunion in July! Fantastic! I love that you just got back and have your next one planned. Love vacation days. Its amazing how we let them slide away w/iut much fight. Thanks for the reminder! I am terrible at the planning part. I seriously have to be nudged. Thank you for the tips! Wow! That is amazing that people have that many unused vacation days!?! Use those babies up!!!! Yes, lets use those days. I love that there is a national day to plan vacations! Great tips!! Im usually a last minute planner but Im slowly starting to see how planning is more beneficial. There are lots of last minute vacation deals too. It is fun learning new things while on a vacation. I use EVERY vacation day – and I always have a trip planned. I find that I don’t mind a vacation ending if I know there is another one on the schedule. Good for you that you use every vacation day, you deserve them. That is a wonderful mode to be in. Great ideas! People really show make time for vacations, even if for a day or two! Exactly, even a day of rejuvenation is a huge help. It literally blows my mind when I hear about people sitting at home on their paid days off! This was great advice! Total planning mode over here! Me too, I love planning. Agreed! Vacation days should be treated to be as precious and necessary for life as water. You are right, they are precious. RVing full-time, we don’t plan much. We plan big locations, but the in-between is spur of the moment. We definitely did more planning of our vacations when we were stationary. I love planning for my vacations. Good tip about protecting your days off. Somehow, I always get talked into trading them away- than I regret it later. I’m a little behind but working on planning my vacations for the year. So far we have a trip to southern Arizona, a trip to Seattle, a trip to Indiana, and possibly a trip to Michigan on the calendar.our International trip is not planned yet. So many destinations I want to visit it is hard to narrow it down. Sounds like you have a great start! 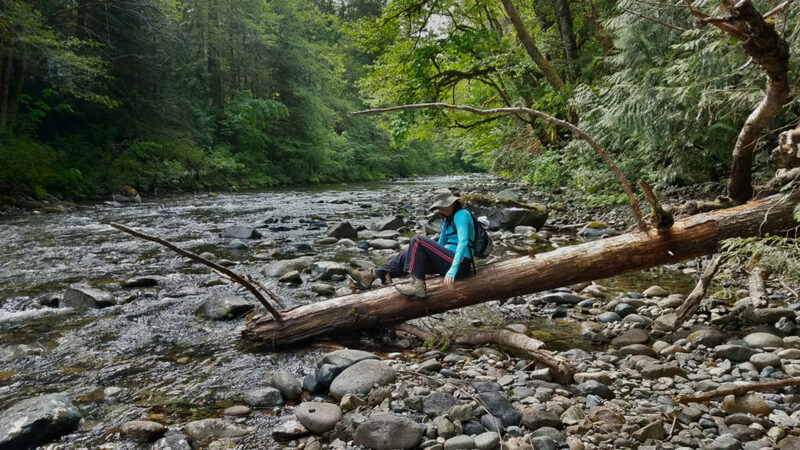 Great tips on how to squeeze more adventure into life!! No excuses!! It is so hard lately to plan for just our two days off from the week. We need to start planning out our 2019 as a month has already passed us by. Great way to break down the planning. It is hard. I trust you find great ways to use those 2 days. These are great tips! We are lucky enough that my husband owns his own business so he has a ton of flexibility but before that when he worked for someone else, it was rough to find the time. That is nice to have that flexibility. I love your suggestions for using the most of your vacation days. I’m travel obsessed so I don’t have a problem with using my vacation. I have a problem of not having enough time to get to all the places I want to go! I agree, there are so many places to visit. I am the master of scheduling my vacations in a way that allows me as many days off as possible while using as few vacation days as possible! 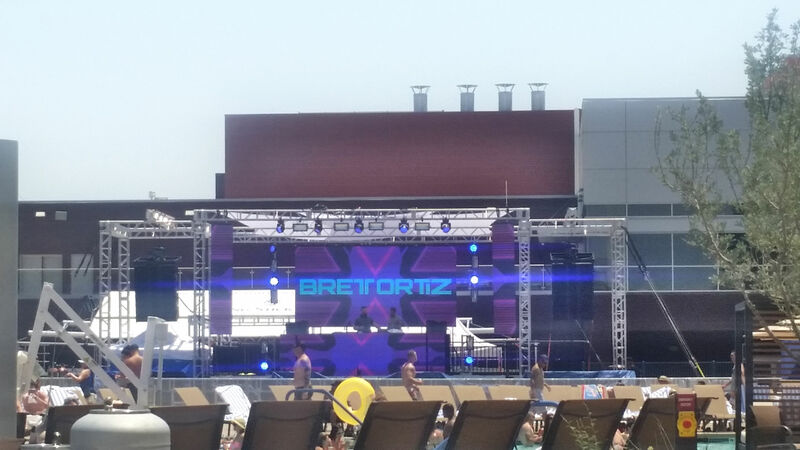 Not only do I want longer vacations, but I want to take more of them! That is a great skill to have. We were just talking about this–blocking off time now to camp with family during the summer. If we wait until June or July to schedule, someone will be unable to go. Family camping will be a great adventure. Found that interesting of the statistics of those who don’t take vacation time off. Planners vs. non-planners. Better to be a planner and use up the days. Sometimes the planning creates a feeling of joy. Just thinking about your trip is stress releasing. Then enjoy the whole experience. I agree the planning part brings feelings of joy.